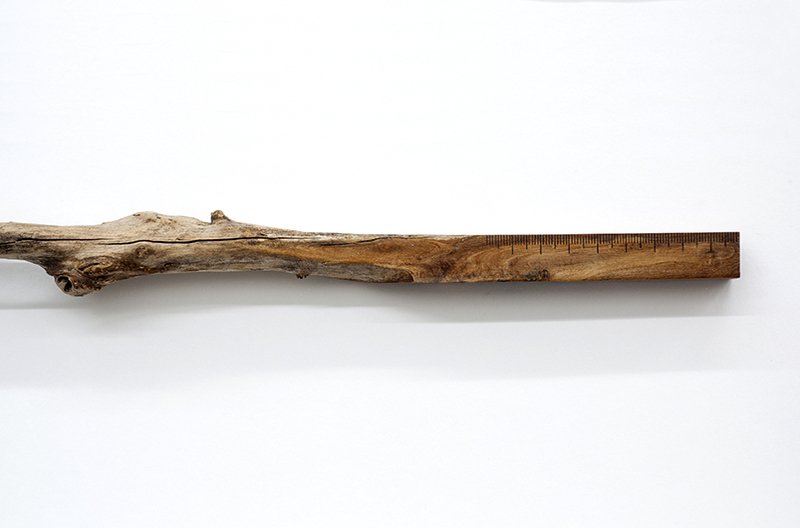 Marker on carved wooden branch. All natural products and even phenomena are given a monetary value. According to the WWF’s Living Planet Index of 2018, nature is worth an estimated US$ 125 trillion. This obvious arbitrary and surreal methodology to put a number on the value of nature is however telling and exemplary for humanities anthropocentric worldview and at the same time our dependency on natural resources, biodiversity and ecosystem stability for long term survival. Natural Capital is a sculpted branch, visualising the rupture and the overlap between nature and culture, or chaos and order, trash and treasure. 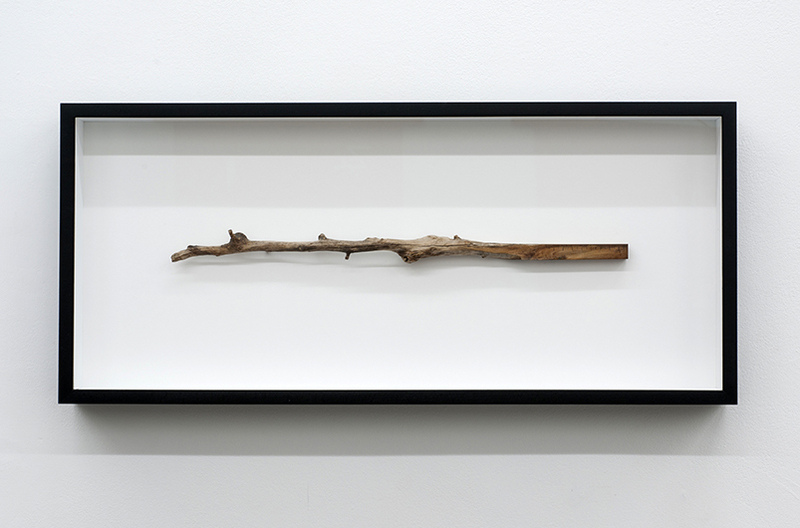 Thin black lines, representing a ruler or measuring tool, used in schools as corporal punishing implement and educational learning device, contrast with its immeasurable natural counter fact, the free ranging natural branch. Natural Capital symolises humanities eternal attempt to manipulate and master the world. The rules of the ruler overrule the rural; capital becomes king.